Several of your colleagues in higher education have reached the highest level of Web Analytics for higher ed by taking this constantly updated professional certificate online course. Want to stop reporting and start to forecast digital marketing results? Do you wish you could use data to better inform the next digital initiatives of your school? 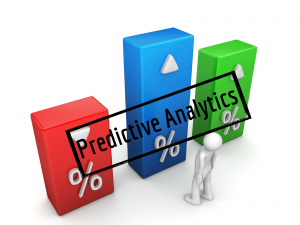 Do you want to learn how to use analytics to predict probable outcomes? Are you looking for a way to get a seat at the decision table at your institution? This 4-week Predictive Web Analytics online course has been designed to help you reach these goals by teaching you step by step you how to use the right approach to forecast outcomes for your digital initiatives as well as demonstrating the difference your work make for the bottom line of your institution. 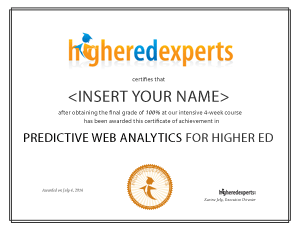 What will I learn about Predictive Web Analytics for Higher Ed? Predictive Time Series Analysis: Seasonal Decomposition to analyze trends and seasonal web traffic patterns. A/B Testing to plan, set up, and make decisions on tests using inferential methods of statistical evaluation. Actionable insights & Recommendations to develop recommendations based on forecasted insights and not just past data. investing 10 hours per week of your time on your higher ed predictive web analytics training course materials, graded quizzes, discussions with your classmates and a final project. studying when it’s convenient for you as long as you meet the weekly deadlines for class discussion posting and graded quiz submissions. working on a predictive web analytics hands-on final project: an actionnable report including predictive techniques you can use at work. getting detailed and prompt feedback from your professor. Should I take this course on Predictive Web Analytics for Higher Ed Course? No travel expenses or down time while you learn much more than you would by attending any 1-day workshop or conference: 4 weeks give you the time to absorb all the concepts and acquire new skills by practicing them. The focus of this course is Predictive Web Analytics for higher ed: everything will apply to your situation. Your classmates will all work at universities, colleges or schools: you’ll find out how other institutions tackle predictive digital analytics challenges. Course materials: screencasts, readings, 3 graded quizzes, 4 graded discussions & 1 graded final project. Recognized certificate of achievement in Predictive Web Analytics for higher ed upon completion of the course with a final grade of 80% or more. I would recommend this course to any colleagues who want to take to the next level their ability to analyze the data offered by Google Analytics. I would recommend this course to people who are trying to gain better and deeper insights into their interactive marketing efforts. This course helped demystify forecasting for me. It has given me some tools so that I can help our team get more out of our advertising efforts. Before this course I would need some help understanding what to prioritize in terms of measurement and testing. Now, I have insights that have helped me form a vision that I can pass on to others. This course really helped me take my web analytics reporting to the next level. The materials were relevant and immediately useful, and the instructor provided very valuable feedback during the course. I would definitely recommend this course if you are fairly comfortable in your web analytics platform (Google Analytics, etc.) 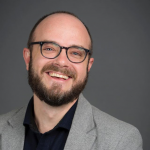 and want to learn how to apply statistical analysis to your data and get some great tips for building and formatting your marketing analysis reports. A great introduction to predictive analytics to forecast the impact of marketing and design initiatives. I would recommend this course to anyone interested in optimizing the strategic allocation of marketing resources.